I have teamed up with some great friends to create a new pattern company called Quilt Theory and my 2016 pattern for Quilt Theory is called Strip It Down. Strip It Down focuses on simplicity and balanced beauty. 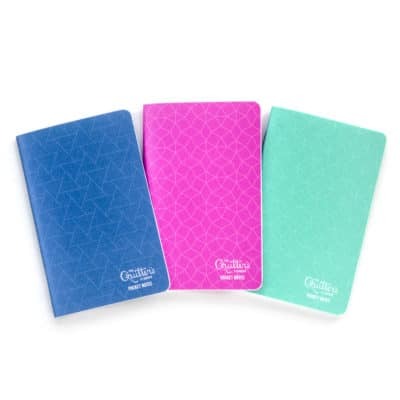 It features just 6 fat quarters and two neutral background fabrics, so it’s perfect for highlighting your favorite coordinating prints. 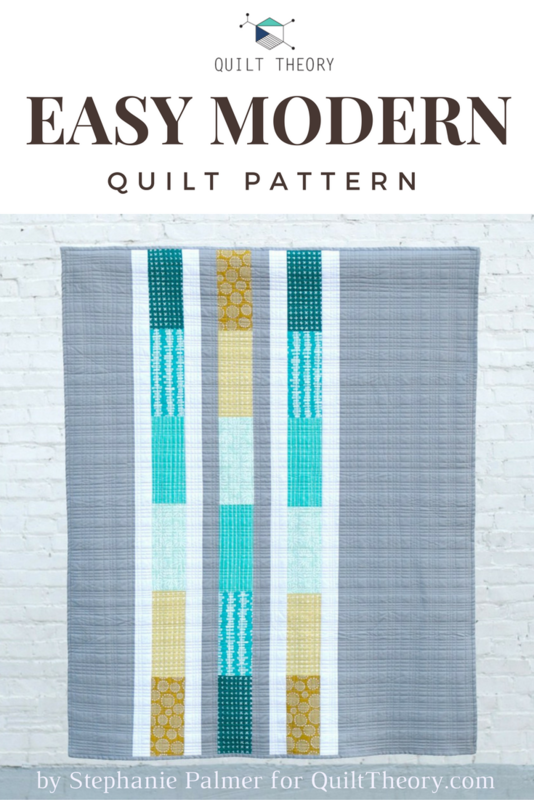 I love that this is a quilt I can make in an afternoon… it’s the perfect palette cleanser project (you knows those moments when you’ve just finished up something really challenging, and you just want your next project to be relaxing and low stress). It’s also ideal for beginners! I used 6 of the incredible screen printed fabrics of Blueberry Park by Karen Lewis for Robert Kaufman Fabrics for this version of Strip It Down and Kona gray and Kona white for the backgrounds. I’m thrilled to have discovered that Kaufman makes a delicious gray jersey knit fabric, from their Laguna Cotton Jersey Collection, which I used for the backing of this quilt. Finally, a quilt that my picky kids will fight to cuddle with! The backing, combined with the organic grid quilting led to a soft, supple, snuggly lap quilt. This is one of my all-time favorite methods of modern quilting – the organic crosshatch. The lines don’t need to be perfectly straight, or perfectly measured. 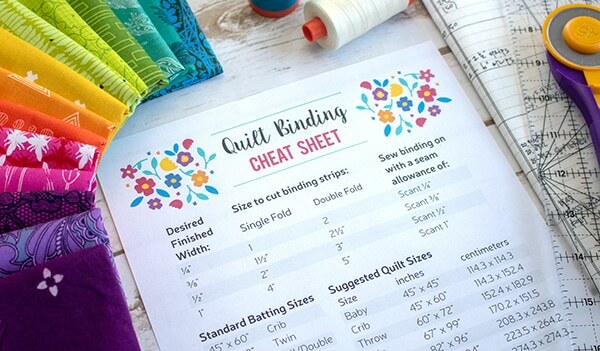 This easy and relaxing quilting design fits the fabrics and pattern perfectly. Thank you Aurifil for the perfect Dove Gray thread – I LOVED quilting with it. It was the first time I’ve used Aurifil 50 weight on my longarm (it’s the same thread I use to piece! ), and it was divine. 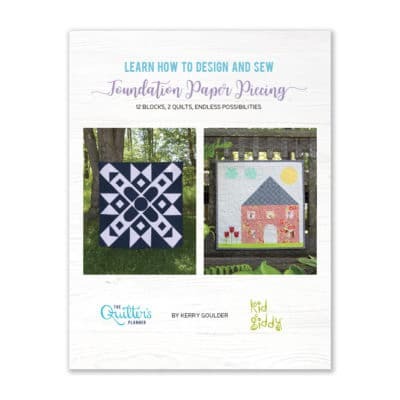 PDF patterns are available now through our website QuiltTheory.com for only $3 a pattern! Totally affordable! 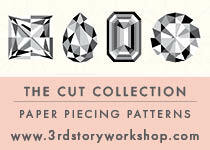 Pattern cards are coming soon to a local quilt shop near you. 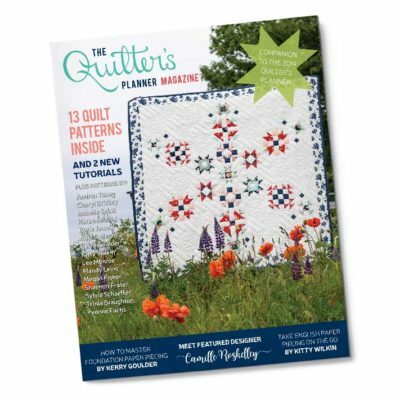 Please let your local quilt shop know you want them to carry Quilt Theory patterns.